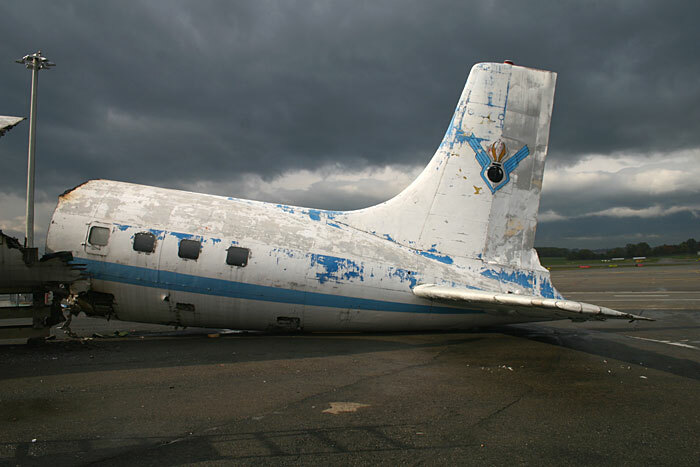 Douglas DC-7C VR-BCW has lived so many long and cold winters, rainy and windy autumns, promising springs but it is ending its long life under a memorable indian summer. 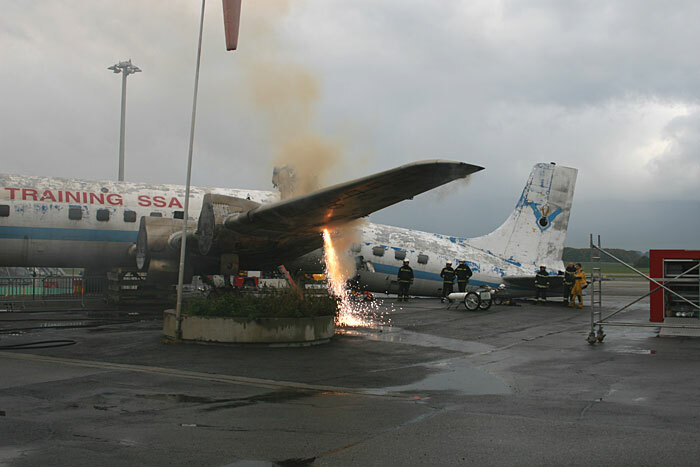 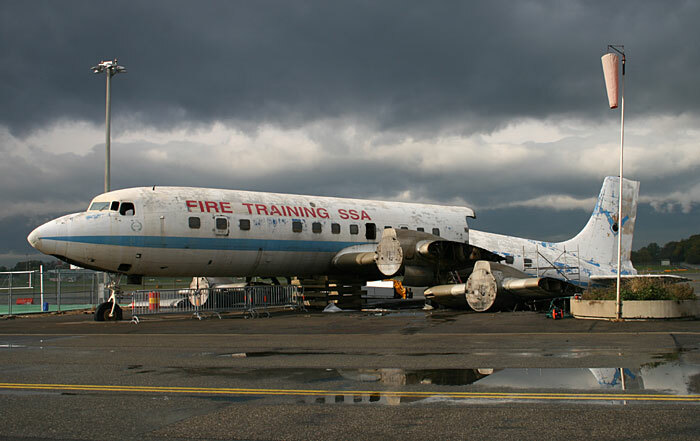 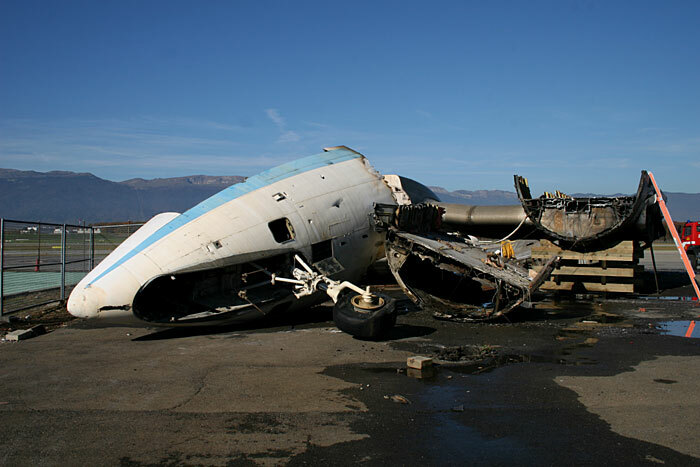 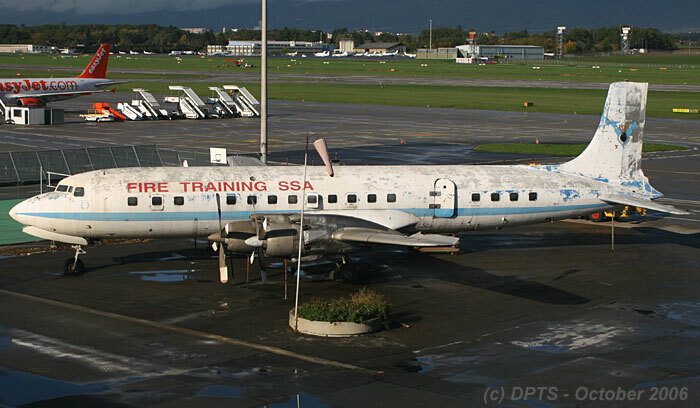 Standing strong for the last thirty one years as a fire training aircraft, this former KLM Seven Seas met its fate on October 18th when an Air Méditerranée Boeing 737-200 landed for the last time in Geneva. 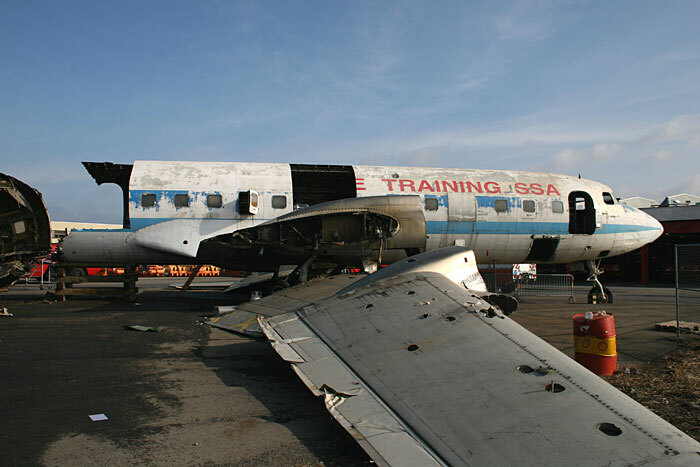 The jet will take over the job as a training airframe during November. 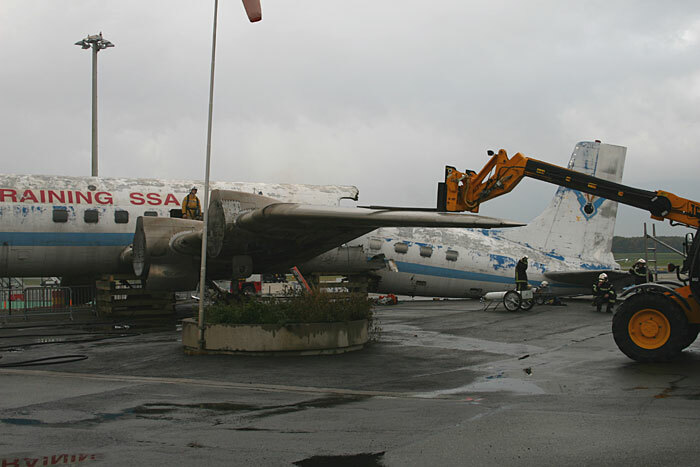 A team of mechanics has started to dismantle some vital parts of the DC-7 such as all sixteen blades, all four engines, doors and various other pieces that my help other Douglas aircraft remain airworthy. 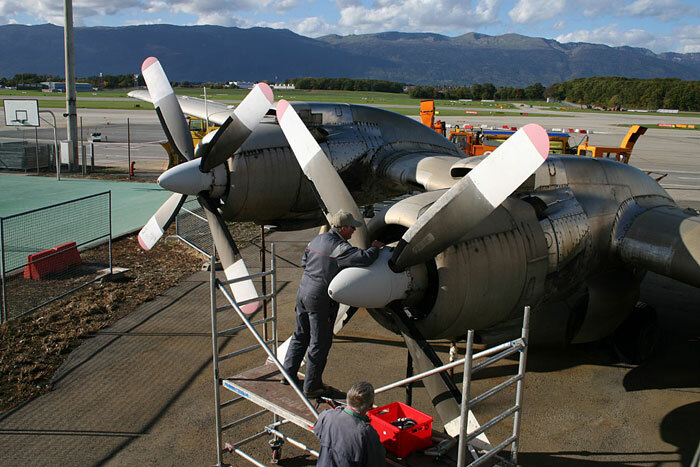 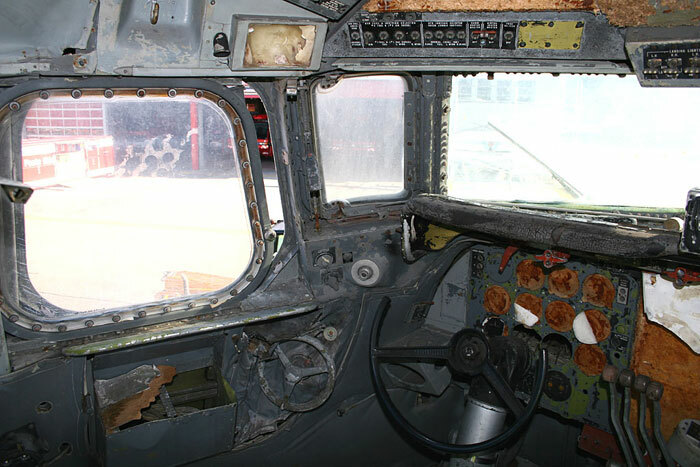 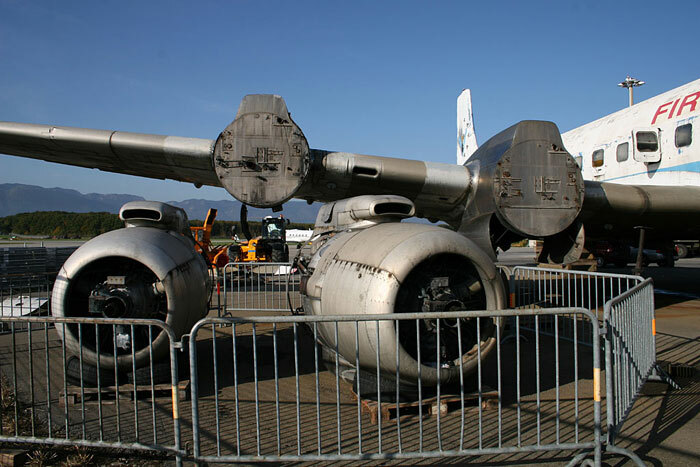 Some other parts will be sold to finance the Super Constellation project which also has its roots in Geneva. 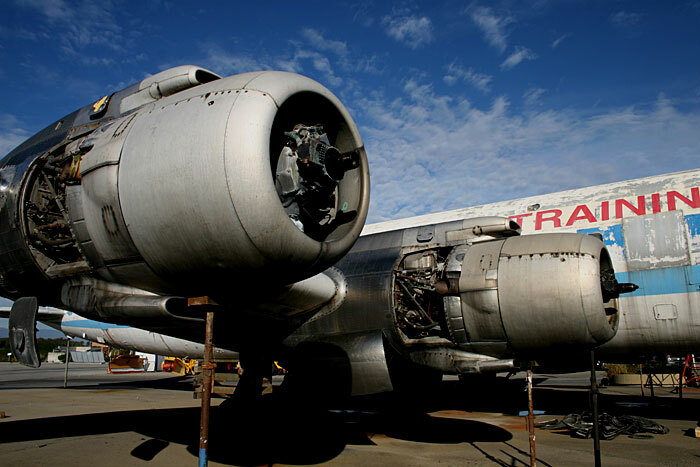 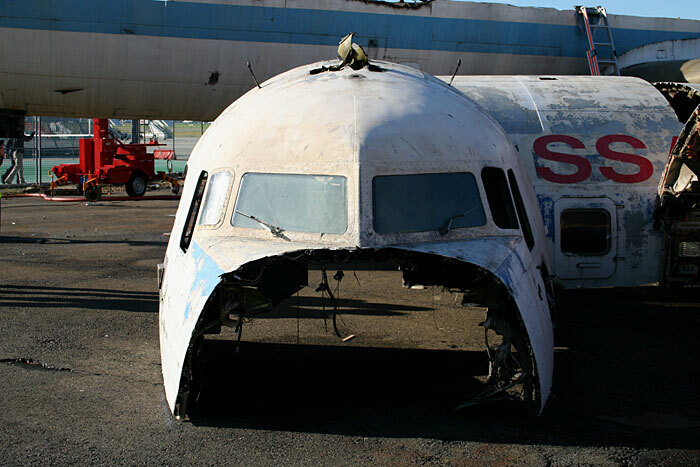 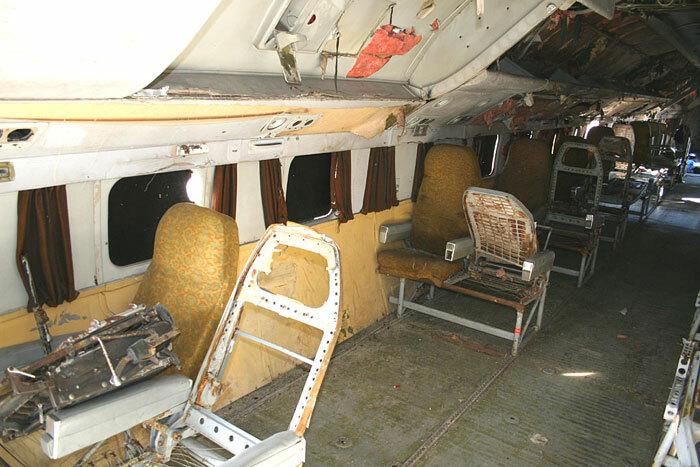 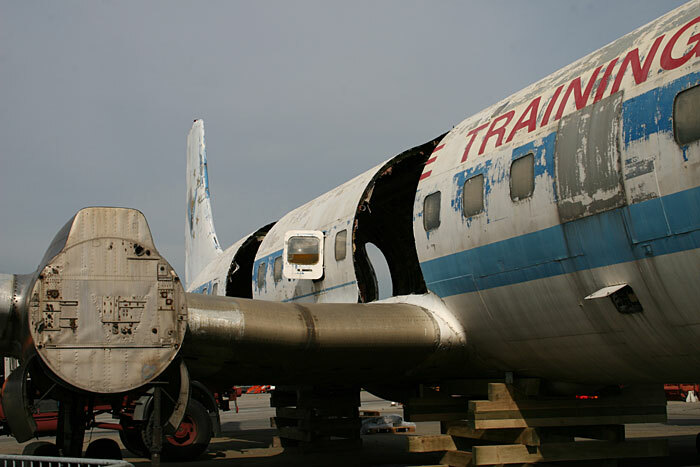 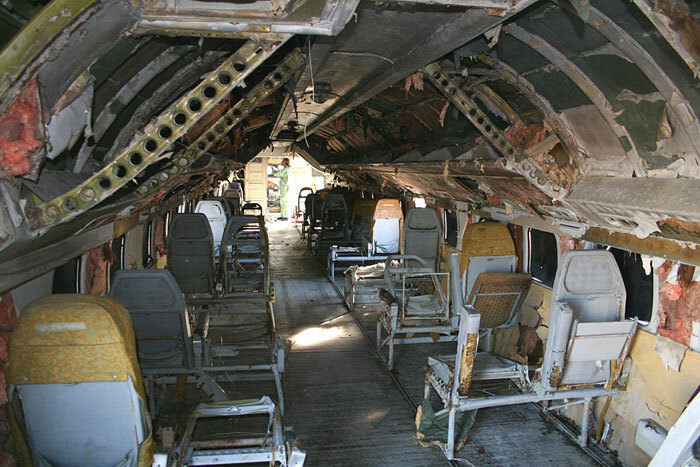 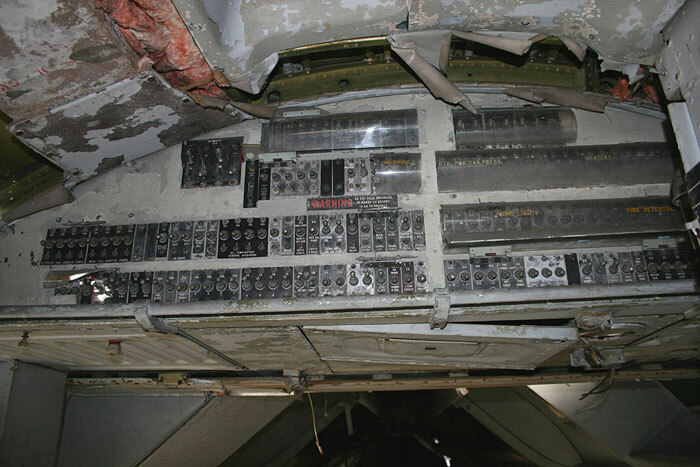 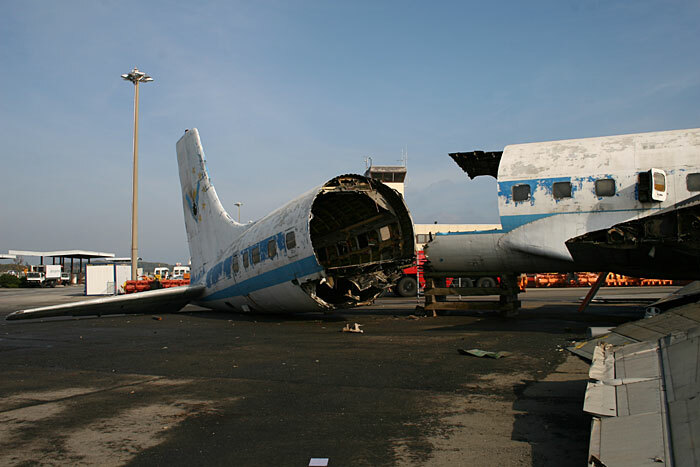 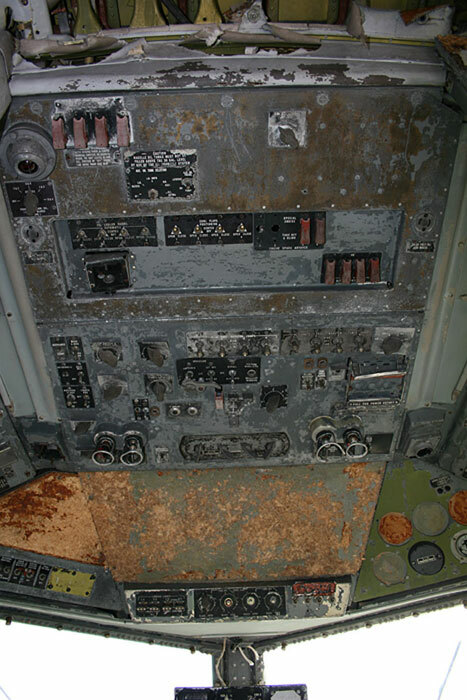 Once all parting out is over, the DC-7 will serve for a final exercise during which most of the aircraft will be cut into pieces. 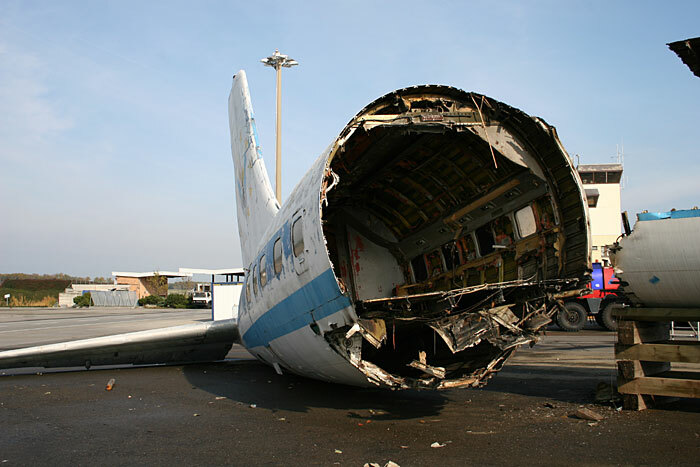 After that everything will be over. 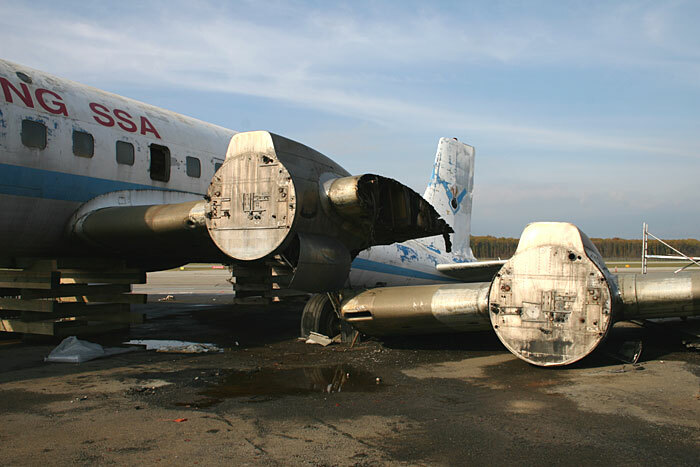 On October 26th, when all engines had been disposed of, oil started to leak on the ramp like if it had been maintained the evening before. 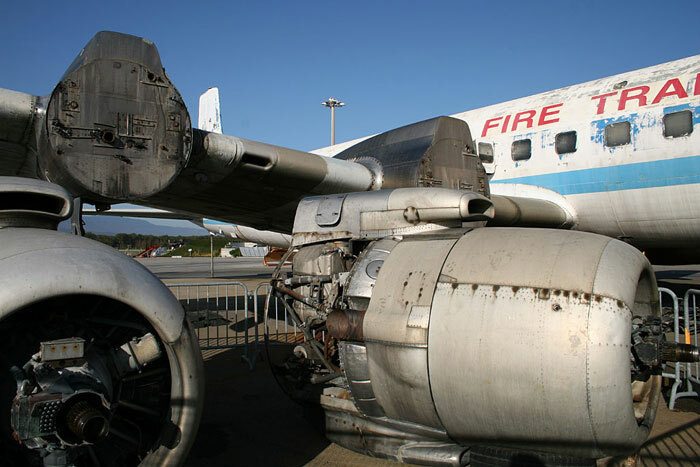 In fact engines had turned for the last time during the early seventies when the bird landed for the last time in Basle (the last journey to Geneva took place on a truck). 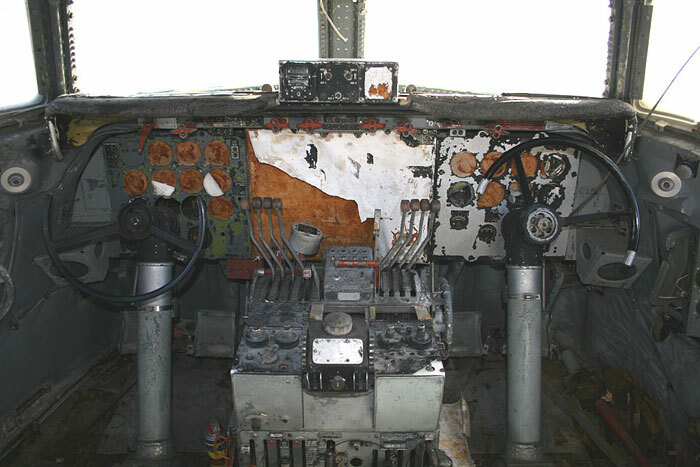 The proud Dutch Seven Seas was bleeding in silence, knowing that any hope for preservation was impossible after so many years of corrosion. 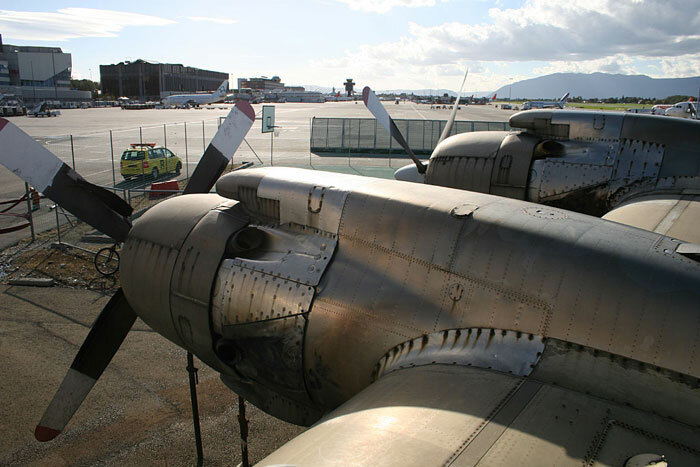 Here is our last glance at this Geneva Airport icon which we will surely miss.